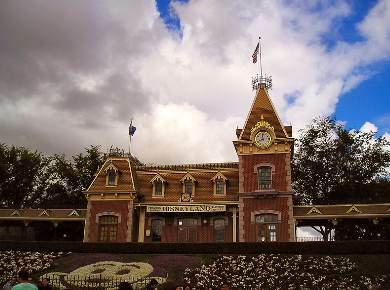 Disneyland Hours February 2019 - Come visit Disneyland Park in Southern California for your best vacation ever! We have Disneyland Park hours for opening and closing hours. We love to visit Disneyland in February. As locals, we find the lines are shorter and the crowds thinner. Are you looking for a romantic date idea? Take your sweet Valentine to Disneyland for Valentine's day! Yes, to answer your question, Disneyland is open on rainy days. It is a good idea to have a poncho or umbrella. I prefer a poncho because it is easier to wear and put away if not needed. Although Disneyland is open on rainy days, most days at Disneyland California in the winter are sunny with warm to cool days, and cool to cold nights. So don't hesitate to visit Disneyland California in February! Thursday February 14 2019 is Valentine's Day, and Monday February 18 2019 is President's Day. You should expect more visitors than usual over Presidents weekend, but otherwise Disneyland is not very crowded in February. During the week, they tend to close early around 8 PM, except for the week of Presidents day, when some schools are out for winter break. When are the Disneyland Park Hours for February 2019? See the Disneyland hours February 2019 in the following table. The early morning admission hours are also shown. Since Disney does not publish their actual open and close times very far in advance, this table lists the “tent” or tentative hours, based upon last year Disneyland open and close times. *The early admission hours for Disneyland (DL) or California Adventure (CA) theme parks are one hour before regular park opening time. A special ticket is required as admission is limited, but this is a great way to enjoy some rides without the waiting lines! **All annual ticket passes are good unless listed here as blackout days. Disneyland passports or annual ticket passes with blockout dates include Signature (S), Deluxe (DL) SoCal (SC) and SoCal Select (SCS) annual passes.